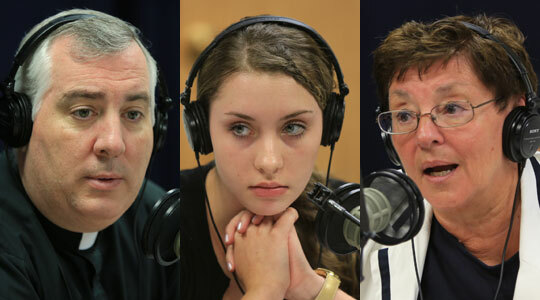 Summary of today’s show: The final language for the physician-assisted suicide ballot question facing voters in Massachusetts this November has been issued by the Secretary of State’s office and Janet Benestad returns to update Scot Landry and Fr. Mark O’Connell on what it says, what’s been happening in the educational initiative and to hear from Sarah Barry, a recent high school graduate working in Janet’s office this summer, who recently wrote about her experiences working in a nursing home and how that relates to this issue. 1st segment: Scot Landry asked Fr. Mark O’Connell back to the show after a couple of weeks away. Fr. Mark has spent his vacation working on some publications. Scot said after today we’ll be on vacation for a couple of weeks, so for the next two weeks we’ll have some pre-taped shows and some of our best previous shows. 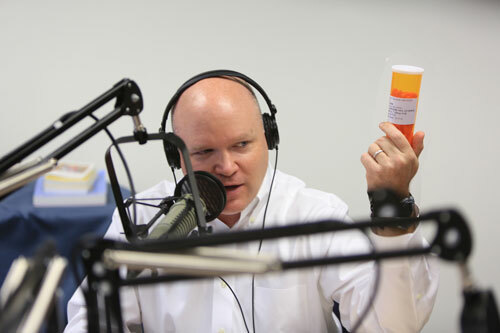 Scot said today we’ll talk about recent developments in the assisted suicide ballot initiative in Massachusetts. Fr. Mark said we have a lot of work to do before the ballot because there’s still a lot of ignorance on it. Today’s guest is Janet Benestad, Secretary for Faith Formation and Evangelization and chairperson of the Cardinal’s education initiative committee for this issue. Also joining us is Sarah Barry, who is interning in Janet’s office this summer, who will be attending college in the fall. As a senior at Montrose School, she we wrote a paper on physician-assisted suicide based on her experiences working at a nursing home. Scot asked Sarah what she thinks young people especially should know about this issue. She said they should know they have the power to effect change. They should remember this affects young people, not just the elderly, not just in the future, but now as well. Sarah said it harms the understanding of human dignity and devalues life. Scot said we wouldn’t be talking about assisted suicide if we didn’t have Roe v. Wade and aborted 50 million people in America since the early 1970s. Janet said there’s no doubt it has devalued human life. She also said that the age limit for assisted suicide under this initiative is 18. They can request assisted suicide without notifying anyone in their family. When the state puts the wooer over life and death in the hands of a private individual or institution, then we’ve really devalued life. Forty years ago, this would have been unimaginable. Scot said Massachusetts was targeted for this initiative in a presidential election year because it’s seen that if it passes here it will pass everywhere. Janet noted that by 2030, 60% of the population will be between 66 and 84 and this will affect the broad swath of people. Fr. Mark commented on Janet saying the power is in the hand of the physician. Janet said the emphasis is on the voluntary aspect of the assisted suicide where the doctor is seen to be acting only on the request of the patient. But the New England Journal Of Medicine, which has been in favor of the ballot question, are now saying that physicians need to extricate themselves from this. Major groupings of doctors are opposed to assisted suicide and being involved in the prescription of lethal medication. The Supreme Court has said the public welfare requires the preservation of life. When the law says this is part of normal medical care at the end of life, the physician is putting into the hands of the patient the opportunity to end his life. The doctor is participating in the killing of the person. Now, the law isn’t administering the drug, but he is giving the lethal weapon to the patient. Fr. Mark said when the patient is unable to administer it himself, then it means that anyone like a caregiver or anyone can give it. There’s no requirement to have family present or notified. Janet said there are none of the important safeguards. There is no requirement for a psychiatric examination. Scot said in theory the bill purports to allow someone with a terminal diagnosis to ask for a prescription to end your life. Scot said even people with treatable diseases get depressed, never mind those with terminal illnesses as they consider the pain, the struggle, being a burden on others and more. Even a terminal diagnosis may not truly be terminal with treatment. Janet noted that in the Netherlands under the law with a lot of supposed safeguards it devolved into easy assisted suicide and even euthanasia (killing without the patient asking). Scot said the main argument of the proponents is that people suffer needlessly at the end of life and too many people turn to “violent means” to end their lives. Janet said in Oregon where this is legal, pain is only the sixth most frequent reason people choose suicide. Loss of autonomy is listed as the number one. Janet said women tend to be more opposed than men, probably because of the fear of the loss of control. Scot said pain can be treated with a lot of advances in palliative care. The arguments of the proponents is if we have fears about the end of life, then this is a blanket solution. Scot said the main proponent in Massachusetts of assisted suicide tells the story of her father committing suicide by gun and that people should have the option of suicide of medication as a better option. Why should suicide be a better option in any situation? Fr. Mark asked Sarah about the use of compassion to mean helping someone die. She said it’s the opposite of true compassion. They might be trying to do the right thing for the elderly and infirm, but it doesn’t respect the human person. Fr. Mark said real compassion is showing someone true love through palliative care. Scot said at the beginning and end of life we go through a phase of having to be cared for. That changes not just the person being cared for, but also the person who cares for the other. Why should we deny others that opportunity. Scot asked Janet about the prescription used in Oregon. She said in Oregon the patient gets 100 capsules, which they take home and empty into a drink and then they have to get most of that medication down. If you don’t you won’t slip into unconsciousness in about 5 minutes and die in a couple of hours. It has happened that it took four days for the person to die. If you don’t get enough down, you can vomit and choke to death on it. This ballot initiative talks about death with dignity, but this is neither dignified nor compassionate. Examples of the type of pills prescribed for physician-assisted suicide. A patient would have to take all of these pills in one dosage. Anybody can help there sick person with this difficult process. Scot said the pills themselves are very big and there’s a lot of them. This isn’t just a little pill that puts you out. Janet said 9 of the 71 who received prescriptions in the most recent year came back later to ask for a new prescription years later. This means (1) the diagnosis was wrong and (2) something deterred them from doing it the first time. There’s no guarantee in this law that the doctor will know you well enough or take the time consider whether you know what you’re doing. She said it’s also been shown when depression is treated, then the desire for suicide goes away. Scot said in the Netherlands, a much higher percentage of elderly people don’t trust their doctors anymore. They’re afraid of being pressured by their doctors to end their lives. So they avoid going to the doctor to be treated for normal medical care. This proposed law would allow a physician licensed in Massachusetts to prescribe medication, at a terminally ill patient’s request, to end that patient’s life. To qualify, a patient would have to be an adult resident who (1) is medically determined to be mentally capable of making and communicating health care decisions; (2) has been diagnosed by attending and consulting physicians as having an incurable, irreversible disease that will, within reasonable medical judgment, cause death within six months; and (3) voluntarily expresses a wish to die and has made an informed decision. The proposed law states that the patient would ingest the medicine in order to cause death in a humane and dignified manner. Scot noted that nothing in this uses the language of suicide which is disappointing. Janet said mentally capable means two physicians have to certify the person as mentally capable, but a psychological exam is not required. We also think of a longtime physician relationship, but you can go to any doctor and in Oregon people have doctor-shopped for one who will prescribe for them. Fr. Mark said seeing the bottle makes it particularly horrifying but even one pill would be horrible. Scot noted that an 18-year-old in the state can’t drink, but they can ask for a lethal prescription. The proposed law would require the patient, directly or through a person familiar with the patient’s manner of communicating, to orally communicate to a physician on two occasions, 15 days apart, the patient’s request for the medication. At the time of the second request, the physician would have to offer the patient an opportunity to rescind the request. The patient would also have to sign a standard form, in the presence of two witnesses, one of whom is not a relative, a beneficiary of the patient’s estate, or an owner, operator, or employee of a health care facility where the patient receives treatment or lives. Scot said first, they have to orally or verbally communicate to a physician on two occasions. Janet said if you can’t write or speak, the request can be made through someone who says they’re familiar with their way of communicating. Someone can say, I think Grandma wants this, and that would be good enough. It doesn’t even have to be videotaped to provide proof. Janet said there is no requirement that anybody has to be present and if there is a suspicion of foul play, this may not be investigated and the death certificate will say the person died of the underlying disease, not assisted suicide. Also as to the witnesses, while it says one of the witnesses cannot be a relative who stands to inherit, the other can be. And the second can be the heir’s best friend. Scot said there’s no safeguard to ensure the witnesses are truly objective. Is this the sort of society we want? Janet said even those in favor of assisted suicide should be wary of this bill because of how poor the safeguards are. The proposed law would require the attending physician to: (1) determine if the patient is qualified; (2) inform the patient of his or her medical diagnosis and prognosis, the potential risks and probable result of ingesting the medication, and the feasible alternatives, including comfort care, hospice care and pain control; (3) refer the patient to a consulting physician for a diagnosis and prognosis regarding the patient’s disease, and confirmation in writing that the patient is capable, acting voluntarily, and making an informed decision; (4) refer the patient for psychiatric or psychological consultation if the physician believes the patient may have a disorder causing impaired judgment; (5) recommend that the patient notify next of kin of the patient’s intention; (6) recommend that the patient have another person present when the patient ingests the medicine and to not take it in a public place; (7) inform the patient that he or she may rescind the request at any time; (8) write the prescription when the requirements of the law are met, including verifying that the patient is making an informed decision; and (9) arrange for the medicine to be dispensed directly to the patient, or the patient’s agent, but not by mail or courier. Scot said the key verbs are “inform” and “recommend” but there’s no documentation. While it says the medication must not be mailed, note that there is no followup. Janet noted that the prescription can be sent by mail or email, meaning a third person could fill it and take it. She said there’s lot of recommendations and few requirements for a law that can end a life. The proposed law would make it punishable by imprisonment and/or fines, for anyone to (1) coerce a patient to request medication, (2) forge a request, or (3) conceal a rescission of a request. The proposed law would not authorize ending a patient’s life by lethal injection, active euthanasia, or mercy killing. The death certificate would list the underlying terminal disease as the cause of death. Scot said they’re trying to say that this isn’t euthanasia, making it more palatable. Euthanasia is either refusing to give a treatment or actively killing. Janet said the physician is indeed creating the conditions under which the person can end their life. Scot said it puts a face on assisted suicide that this isn’t ending life, but only making someone comfortable on their way. It’s aim is the make it less objectionable. Janet said we’re giving a happy face to something we would never approve under any normal conditions. Janet noted the case of the Lockerbie bomber who was released from prison because he was supposedly dying, but he lived in Libya for three more years. She said there are many, many documented cases of people given terminal diagnoses and go on to live many years more. Participation under the proposed law would be voluntary. An unwilling health care provider could prohibit or sanction another health care provider for participating while on the premises of, or while acting as an employee of or contractor for, the unwilling provider. So a Catholic physician or Catholic hospital wouldn’t have to do this and could prevent someone from coming on the premises to do it. But of course, you only have to recall the Health and Human Services mandate to see how someone’s ideology can be forced on someone else. Janet said in Oregon one woman was told that her insurance wouldn’t cover cancer treatment, but would cover assisted suicide. The proposed law states that no person would be civilly or criminally liable or subject to professional discipline for actions that comply with the law, including actions taken in good faith that substantially comply. It also states that it should not be interpreted to lower the applicable standard of care for any health care provider. Scot said the loaded word is “substantially comply”. Janet said the liability language is meant to protect physicians who are afraid of being prosecuted. But there’s a lot of wiggle room. Janet said this law is going to define comfort care as giving lethal medication. How can that not lower the standard of care. Doctors have said this is going to lower standard of care because they will be pressured to go along with this and patients will have more suspicion of them. Scot said when healthcare providers have to look at the balance sheet, where will they be pressured to go: the cheaper route of ending lives or the more expensive route of ongoing care? A person’s decision to make or rescind a request could not be restricted by will or contract made on or after January 1, 2013, and could not be considered in issuing, or setting the rates for, insurance policies or annuities. Also, the proposed law would require the attending physician to report each case in which life-ending medication is dispensed to the state Department of Public Health. The Department would provide public access to statistical data compiled from the reports. Scot at least in theory we will be able to determine how many people will be given the medications, but we won’t know how many took it because the underlying diasease will be listed as cause of death. It also doesn’t provide penalty for not reporting. The proposed law states that if any of its parts was held invalid, the other parts would stay in effect. A NO VOTE would make no change in existing laws. Everyone in the studio said they’re voting No on 2. Janet said it’s important for people to go to the Death with Dignity 2012 website and to see what proponents are saying. We know as Catholics and good citizens that this law is not compassionate or good for Massachusetts. We should put our resources into palliative care and hospice care. As Catholics we don’t have to have treatments that are burdensome and we can take medication to ease our pain. Scot said this is the only miracle story recounted in all four Gospels. He said this miracle precedes the Eucharist. He wondered why Jesus started with the fish and loaves instead of dropping food from heaven. Scot said Jesus wants us to participate in his miracles. Fr. Mark said this is for us as well as we are presented with giving God our little talents against a daunting problem and letting God do the rest. Scot said we want to pray for the success of the No vote on 2. We want to work to stop it. But God will magnify our efforts we put into this. Scot said in the Mass we are called to bring not just our money but everything we are to the offertory to bring the altar. Janet said one pastor tells a story about he Gospel who said a First Communion parent told him that if the little boy can be the means to the miracle and his child is receiving the Eucharist, then he is coming back to the Eucharist and the practice of his faith as well. Scot said at World Youth Day they tell the young people that they aren’t the future of the Church but the present of the Church and they can make a difference in the world. Sarah said while 18-year-olds can request suicide, they can also make a difference and prevent assisted suicide by voting against this ballot question. Fr. Mark said to notice the last line that Jesus goes back to the mountain alone to pray and the power of prayer is enormous.